Hot chocolate or tea :) Thanks for the giveaway! Love Starbucks oatmeal with a touch of brown sugar and dried fruit. Such a treat! I love their cafe misto drink. I love their caramel apple cider! What a timely post considering my coffee maker broke yesterday! I love the cafe mochas! And in the summer, the iced mochas. I enjoy the frothy sweet drinks,and a chat when I go out. Starbucks donnuts!!! I love it with hot coffee!!! Nice to meet you. I love Starbucks! Sometimes I go and blog from there, it's a nice change from home. I love their caramel mocha iced lattes. 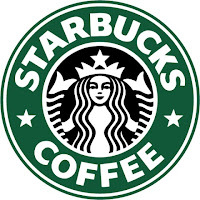 Tell me your favorite Starbucks beverage (or food). Mmmm...I'm your coffee twin. Plain latte. Perfect. In the Fall/Winter my Hubs likes Grande Carmel Machiato. Extra Carmel! Love their iced green tea. Thanks! With all you do for your boys you sure deserve something just for you. Amazing how sometimes the smallest gift can be the most thoughtful. I love their Mocha Frappuccino!! Thanks for the giveaway! Well, I think I'm entered, I guess I'll find out. We like the Starbucks cappucino, now I will have to try the lattes. Ee even just got the Starbucks K-Cups for our Keurig. My hubby likes a mocha, I like the mint hot chocolate! Chai, hot or cold is always a hit with me and yes, I do drink coffee. I love some those frozen coffees, I think they are called machiatos? So I think with the gift card I could buy one. Awesome giveaway! I'm a total coffee junkie...mochas are my favorite! I have a few favs... White mocha with peppermint, Iced Chai & now that I am counting calories I will do a nonfat Caramel Machiatto. Mmmmm, they are all yummy! Hot chocolate and there's one just across the street. Though the caramel apple cider would be fun to try. I just checked out Logallot and am following--looks like a helpful site! My favorite is green tea soy latte. Favorite starbucks item: Fraps. I really like the caramel! (My FB and therefore raffle copter email addy is ravebaby6669@yahoo.com) thanks for the giveaway!! Iced chai latte. Hands down. Mmmn. I love your blog, and the bear logo. Very nice! This time of year....Hot Cocoa is my fave! I never go to starbuck's because I'm kind of a cheap skate when it comes to that even though I like the idea of supporting a company like Starbuck's. My niece worked there for years and I couldn't believe what a great company they are to work for. I love their Caramel Apple Spice!!! I love getting their hot chocolate on a cold morning! My favorite is their peppermint mocha! I love the mocha frapp! Just a great cup of coffee for me. Enjoy ladies and thanks for entering the giveaway! My favorite is the Cafe Latte. Right now loving the Peppermint Latte! My fave is the vanilla latte! Fave drink: tall cappuccino with whole milk. I like Starbucks Hot Chocolate. there krispie treats are amazing!!! and I really love mocha frappicinos there. I love their hot chocolate and blueberry coffee cake! Mmmm....I'm a straight double espresso-gal. vanilla cappuccino is my favorite drink! I love the Stawberry and cream frapuccinos! i love white chocolate mocha! I need to try more things but I love iced coffee with vanilla or caramel. Nice giveaway. Thanks. My favourite Starbucks item is their Lemon Pound Cake. It's absolutely yummy! My G+ and GFC name is "From Furrin". My fave Starbucks beverage is White Chocolate Mocha. Thank you! I like white chocolate mocha! thank you! Their skinny mocha peppermint latte is to die for. My favorite drink is the seasonal Peppermint Mocha. My favorite drink is an Iced, non-fat, no whip, White Chocolate Mocha. Thanks! My favorite drink is the White Chocolate Mocha. Sometimes I get it iced and sometimes hot. Iced Venti White Chocolate Mocha with 2 extra shots (yes, 2 extra, please)no whip. I love the chocolate mocha! At Christmas, they have a peppermint mocha that is very good! Thank you for the giveaway! 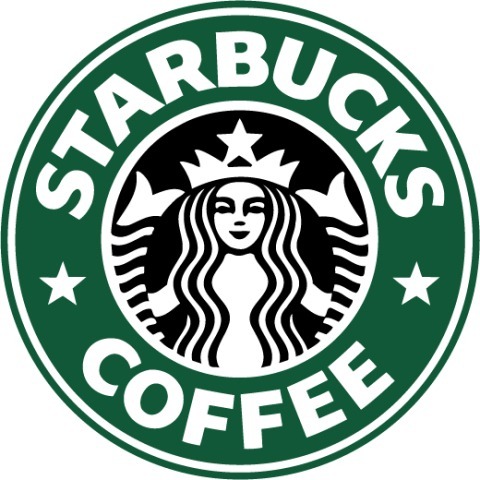 I love Starbucks, totally addicted to it! I love the Peppermint Mocha! I love Grande Carmel Machiato but I only drink one a couple times a year since it's high in calories. I love their iced chai...with a shot of vanilla in it! I like their chocolate shake thingies! White Mocha is my favorite. My favorite is their mocha latte! I like to get a Latte with a scoop of Green Tea in it. I love their White Chocolate Mocha! Warm or cold, I love it! I follow via GFC as Frozen Pizza Mommy. I love their hot chocolate and cinnamon coffee cake. My favorite coffee is the peppermint mocha and my favorite food is the pumpkin loaf. Peppermint hot chocolate is my fave!